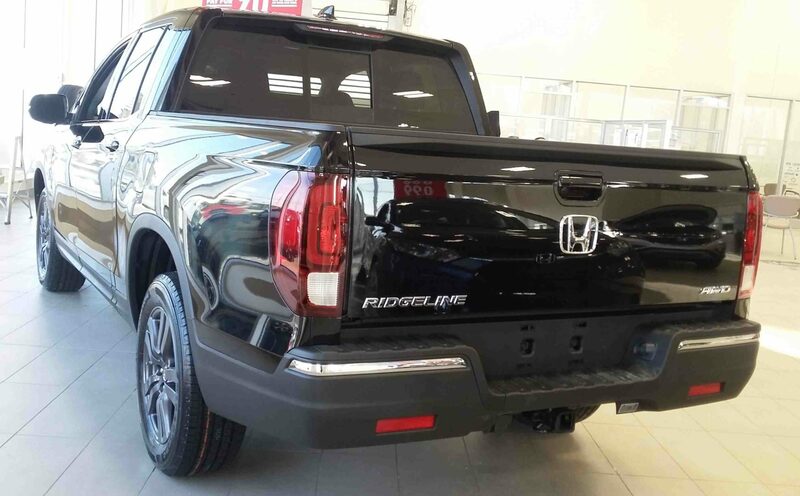 If you are looking for a new truck, then you will love this 2017 Ridgeline Sport that we currently have on display in the Dow Honda Showroom! 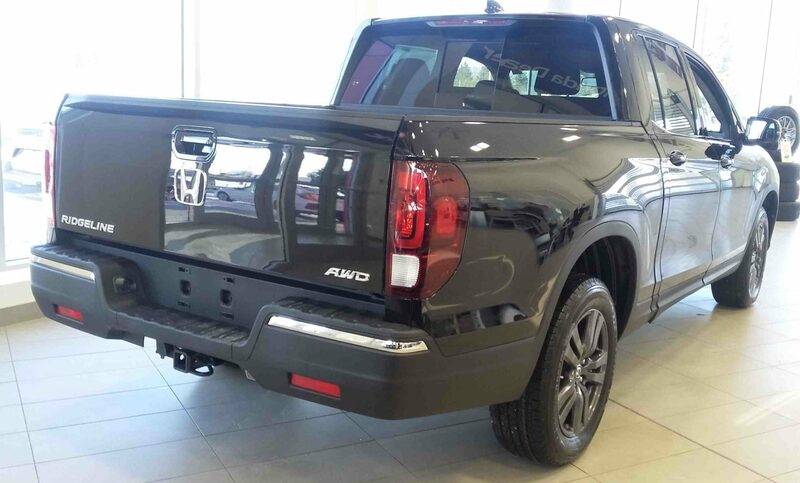 This Ridgeline is shown in the “Crystal Black Pearl” paint colour, and features a black fabric interior. Under the hood, it has a 3.5L, 24-valve, Direct Injection, SOHC, i-VTEC, V6 engine with a 6-speed automatic transmission. The 2017 Ridgeline Sport has a towing capacity of up to 5000 lbs. It comes pre-wired for a trailer brake controller, and a 7-pin trailer connection. The Sport trim level features 18 inch, shark grey, aluminum wheels, and a chrome front grille bar. It also comes with a power moonroof, a power sliding rear cabin window, and a rear window defroster. The Ridgeline’s truckbed can keep your cargo secure with eight heavy-duty tie-down cleats, or you can lock your valuables in the in-bed trunk. If you need more storage space, the Ridgeline’s second row of seats can easily fold down. The 2017 Ridgeline Sport comes with a wide array of entertainment and safety technology. It comes equipped with a multi-angle rearview camera, LaneWatch blindspot display, and HondaLink Assist. It also comes with proximity key entry, pushbutton start, and walkaway door locks. The Ridgeline’s Display Audio System is compatible with HondaLink, Apple CarPlay, Android Auto, and Bluetooth streaming audio. 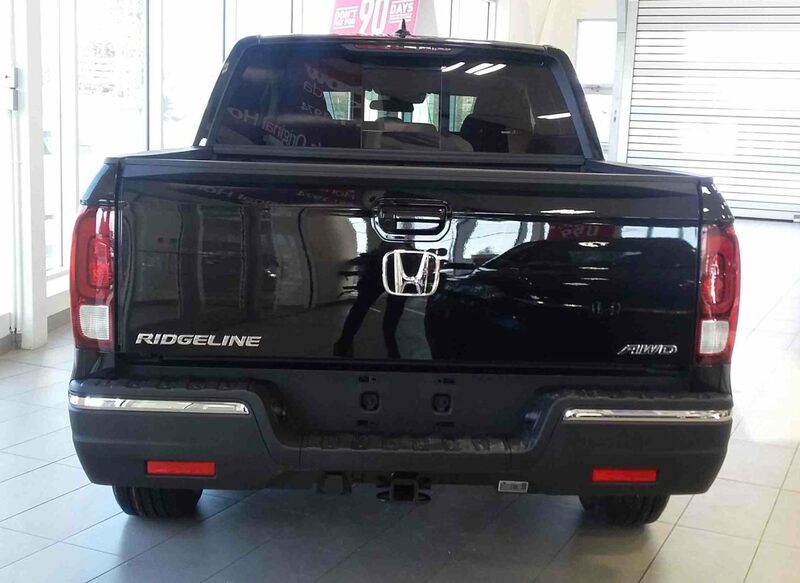 Want to learn more about the 2017 Ridgeline? 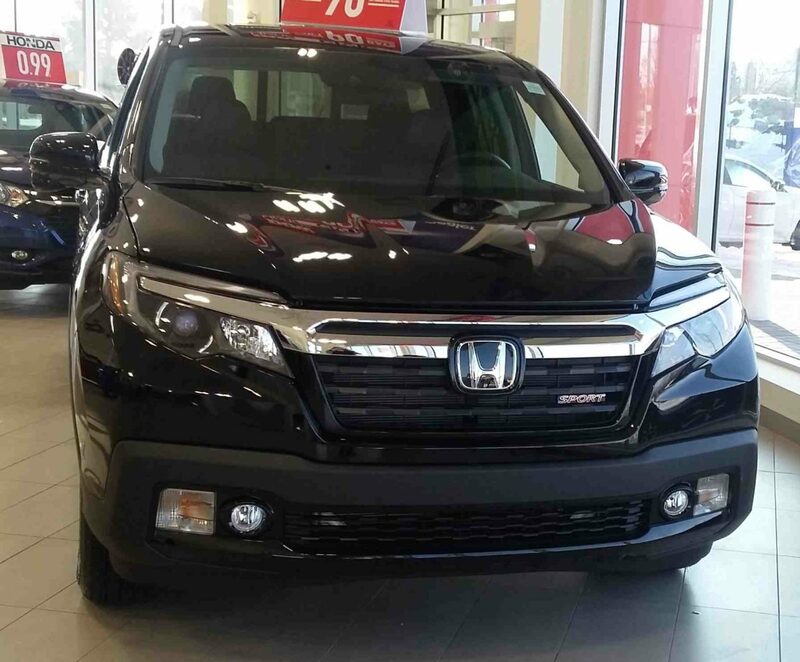 Click here to learn about the differences between the 2017 and 2014 Ridgeline models! Click here to learn about the 2017 Ridgeline’s ratings scores! Click here to learn about the 2017 Ridgeline’s accessories!